Cory Arcangel (b. 1978, Buffalo, NY) is renowned for his ability to question the visual experience, pervasiveness and longevity of consumer technologies. Inspired by obsessive Internet fan culture and the user experience of the web browser, Arcangel uses conventions of popular culture, be they video games, iconic musicians or fashion, to explore our shared reality and tenuous relationship with technology. Arcangel frequently extends this inquiry by posting instructional how-tos for similar works on his website, allowing his art to be completely accessible to anyone. In his earliest works – Super Mario Clouds (2002), I Shot Andy Warhol (2002), Totally Fucked (2003) – Arcangel hacked into Atari and Nintendo video game consoles to create alterations of the game’s preceding form. In Super Mario Clouds , Arcangel erases all the elements of the original video, leaving only the clouds. The resulting effect is a faint and minimal trace, a surreal reinterpretation of the original game, both new and nostalgic. Apple Garage Band Auto Tune Demonstration signals Arcangel’s increasing interest in the history and theory of music. 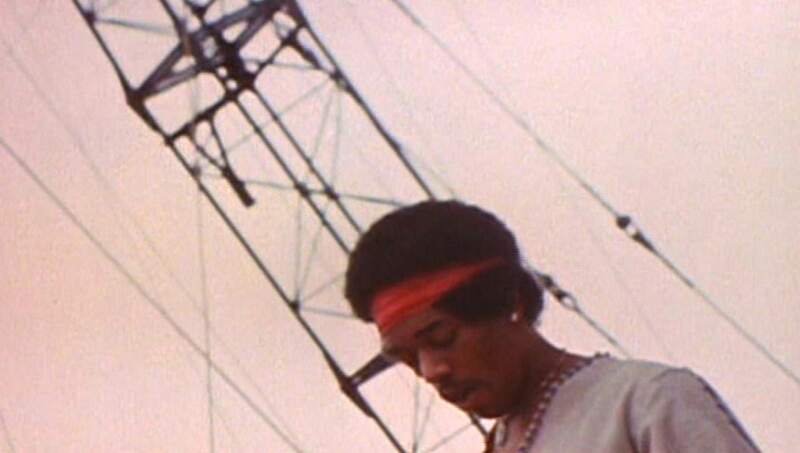 The work features a found video of Jimi Hendrix’s legendary performance of The Star Spangled Banner at Woodstock in 1969. The artist ran the audio through the Auto-tune function of the Apple computer program, Garage Band. This software, which makes music production accessible to anyone with a computer, automatically adjusts and corrects the pitch of Hendrix’s guitar, compensating for the musician’s imperfections. Furthermore, Hendrix’s anti-war performance was said to mimic sounds of bombs; however, the sounds were erased by the Auto-tune effect. And the viewer is left with a hollow out gesture of Hendrix’s protest, void of its original self-expression and vitality. Apple Garage was included in “Cory Arcangel: The Sharper Image” (March 11, 2010 – May 9, 2010), the artist’s first major solo exhibition in the US, and “The Possibility of an Island” (December 4, 2008 – March 21, 2009), both curated by Ruba Katrib. Arcangel has exhibited extensively in major international institutions including the Whitney Museum of Art, New York; Carnegie Museum of Art, Pittsburg; Royal Academy of Art, London; Museum of Modern Art, New York; and Museum of Contemporary Art, Chicago; among others. His work features in permanent collections at Hammer Museum, Los Angeles; Neue Nationalgalerie, Berlin; and the Tate Modern, London; among others.